Welcome to my Proven Amazon Course review 2019! Proven Amazon Course claims of earning big profits by selling on Fulfillment by Amazon (FBA). The course is also full of high claims and promises that looks very appealing to everyone. So, I decided to provide you honest insight about this product so that you can make a wise decision about whether to join it or not. Is it really that easy for Proven Amazon Course to fulfill its promises? Is it worth your time? And most importantly, is Proven Amazon Course a fake or legit? Summary: Proven Amazon Course 2.0 (PAC) is an excellent course by Jim Cockrum, who along with other his team has shown many successful strategies to make a full time income with this business model. As compare to many costly courses available in the same topic, i think offering at $399 is a reasonable price for the value it included. What is Proven Amazon Course? The Proven Amazon Course (PAC) was launched in 2009 by Jim Cockrum. The course is all about building an online business from anywhere in the world using Fulfillment by Amazon (FBA). The Course shows people how to sell any product on Amazon. It comprises all the technical aspects like how selling on Amazon works, how to source products, how to ship products to your customers, and accept and process payments or refunds. The training includes webinar recordings, video tutorials, PDFs, and other resources along with access to their Facebook group which has over 50,000 members. The course is one of the best courses available on FBA business model, and it is always updated with the addition of new creative strategies. The course is led by four successful entrepreneurs Brett Bartlett, Nathan Bailey, Steven Deaton, and Jim Cockrum. All of the courses have their merits and demerits, but I believe that Proven Amazon Course is the best which I should recommend to everyone who is serious in this business model. In FBA, the seller sends items to Amazon’s fulfillment centers to store. The seller promotes those items, and then these will be shipped by Amazon instead of sellers. Other than this Amazon is also responsible for the sorts, packs, ships, tracks and handles returns and refunds for these products. Amazon takes responsibility for the quality and delivery of these items. Due to FBA, the smaller vendors get access to Amazon’s web-to-warehouse picking and sorting system and other logistics services. Thus vendor can focus more on other aspects of their business. Amazon charges merchants for storage space and a fee for orders it fulfills. Shipping costs and 24/7 customer service are included in vendor fees. The whole concept is based on finding the gap between demand and supply and then sources those products from different suppliers to fill this gap. How to get others to source for you by building a sourcing team? Where to find virtually unlimited sources of inventory regardless of where you live in the world. 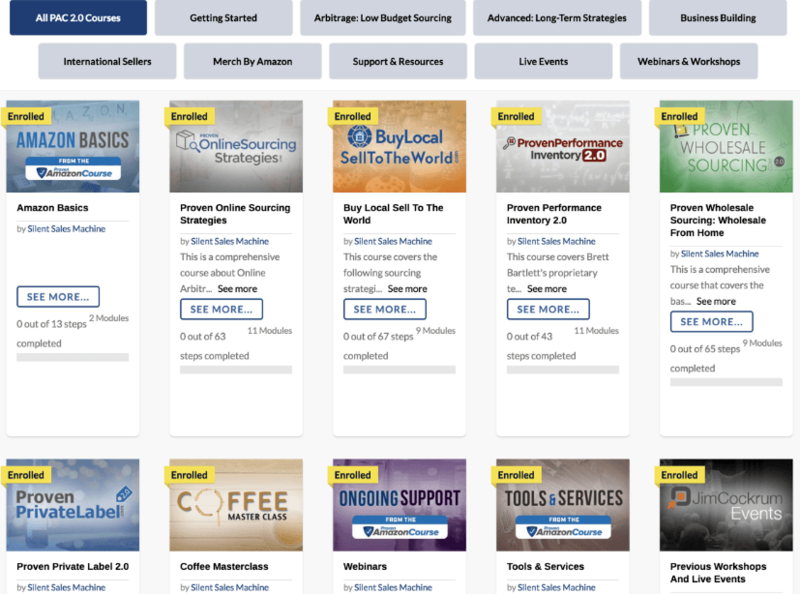 We added in a course that others paid $1,500 for that shows you STEP BY STEP how to find profitable inventory any time you'd like! How to build your brand of private label products that you can sell directly online or to other sellers. They have numerous #1 Best Selling Private Label Products among the teachers and the students of the Proven Amazon Course. How to easily ship your inventory in bulk at low dirt prices directly to Amazon's warehouse? How to price your inventory higher than your competition while still outselling them? How to automate the entire process so that you only check your sales reports? How to run your business from anywhere and automate it? How to sell products anywhere to anywhere? The simple tools you can take with you anywhere you ever go so you can instantly spot the "winning inventory" and within a couple of mouse clicks be 100% done with your part of the job. Amazon does the rest. Access to their very active private Facebook group with over 50k members and dozens of helpful moderators ready to support you if you prefer Facebook over traditional forums. MUCH more being added constantly. This is "ongoing training" with an ever-developing forum with new experts asking to join in all the time. You will get the training from the experts who have already tested those strategies. Apart from the owner Cockrum and his team, there are also a huge number of successful FBA experts that have contributed to PAC, including Skip McGrath who is the owner of The Complete Amazon Marketing System and Jessica Larrew who is also a great expert. The course is included everything that you need to know from start to finish. Also, I must appraise their sourcing strategies that are covered in depth. Some of the links will also take you to the great resources, including a link to Amazon FBA’s YouTube channel where they teach you how to wrap, label, package, and send your product. The Facebook group and MySilentTeam forum both had a flood of activity happening. In the Facebook group, numerous questions were being asked daily, and lots of answers as well! I must say that having a support community was essential to my own success, so I have to give major credit to PAC owners for providing this support to buyers of the product. These two useful resources are enough reason solely to maybe choose PAC as my #1 ranked product to learn FBA business model. You are stepping in something that is not only legit but also has a huge potential. Amazon is number 3 rank site all over the world, and its customer base is increasing year after year. There are still a lot of different niches with tons of potential to private label and make your own successful brand that can be sold later. You will learn how to rank your products on the Amazon and when it gets rank, you get organic sales and start earning huge income passively. At that time you don’t need to focus on paid advertising. Even if you are a small business, you can use this business model to earn good income month after month. Yeah, that’s true! Your country doesn’t matter. They have huge success stories in Europe, Canada, and all over the globe! You can now use a UK, German, French, or Austrian bank account to sell on Amazon.co.uk, Amazon.de, and Amazon.fr. With FBA, you can now serve orders across over 25 European countries posing local returns handling and customer service in the United Kingdom, France, and Germany. However, if still, you are from another part of the world, they will guide you everything about how to have the product shipped from ANYPLACE in the world into an Amazon warehouse without ever seeing it or touching it. The course is a part of a company Cockrum Computer Services, Inc. which is BBB accredited business and has ratings of A+. I haven’t seen any complaint registered with the BBB, which is a good sign. However, BBB is not a standard for checking a company whether it is worthwhile or not but still all those above stats shows that the Company cares all of its consumers. The course makes it exciting by presenting it via video training, webinars, podcasts, and PDF guides. So, you can use the training in formats whatever you prefer. If you just look at the member’s area, you first get the impression of seeing something that is dissymmetrical. You don’t know where to get the start and where it gets the finish. Especially beginners, who find the member’s area too complicated and information overwhelming. Some of the lessons are too long and aren’t divided correctly. So, if at a later date you want to get some specific info, it could take your few hours just to locate it. The layout and the design of the member’s area also look unprofessional. Some of the members are complaining about videos don’t render correctly, and you can’t see what is going. I know if you visit the Prove Amazon Course site, you will see that it is easy to make a good income within a short period. Believe me; it takes investment along with patience. Apart from this course price, you also need to buy an inventory of $1,000 to start. Don’t forget the other cost that Amazon will charge you for space and services it will provide. In a nutshell, Proven Amazon Course is one of the best courses available on FBA business. As compared to Amazing Selling Machine, which is very expensive; PAC is available at a much cheaper price. However, if you think this business model isn't for you or you cannot afford it, i recommend you to see my personal favorite, Affiliate Marketing. If you don't know how to work on affiliate marketing, i recommend you to join Wealthy Affiliate. 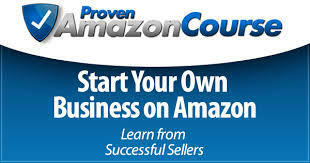 Join Proven Amazon Course Here! What's your thoughts on my Proven Amazon Course review 2019 and if there is any question in your mind, please ask me in the comment section.